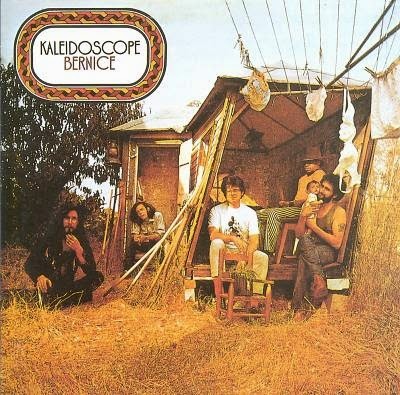 Kaleidoscope were an American psychedelic band originally active from 1966 to 1970. Kaleidoscope had released three brilliant and unique albums between 1967 and 1969, but by the end of the decade their enthusiasm and imagination had apparently begun to run out. Solomon Feldhouse and Stuart Brotman both departed, to be replaced by singer-guitarist Jeff Kaplan and bassist Ron Johnston, joining drummer Paul Lagos and multi-instrumentalists David Lindley and Chester Crill (the last two being the only founding members left). Bernice was no doubt something of a disappointment to many fans, as it lacked the eclectic fusion of genres that made their first three albums so special. Instead it was more of a predictable guitar-driven psychedelic rock record. The instrumentation was still superb throughout, but it didn't really have much to make them stand out from any other rock band of the era. Following its release the band broke up.